PRP is a non-surgical option for patients who hair that is thinning or balding. Here at Embassy Studio, we offer the latest in non-surgical hair restoration for anyone who has any form of hair loss. Parts of your blood contain mesenchymal stem cells and autologous blood that have growth benefits in remaking or mending tissue. Research published in the United Kingdom and the United States, assures that the use of PRP treatment is safe and effective. PRP treatment has been seen results as a restorative treatment in the fields of oral surgery, neurosurgery, remedial surgery, sports drug, and orthopedics. PRP has been broadly used for the over two decades with positive results and accomplishment. In the field of hair transplants, studies indicate Platelet Rich Plasma treatment is an alternative option to aid in restoring hair that is thinning or balding. 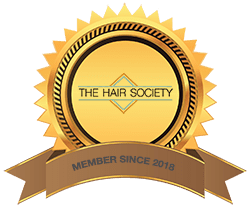 While platelet-rich plasma treatment has been seen as a new but cutting-edge solution to hair loss, it is not proposed to supplant any present FDA supported medications, for instance, DHT blockers and Minoxidil, yet we are excited to offer this non-surgical option for those patients with baldness. We draw the blood at our Embassy Studio offices, just like a normal blood test at your doctor’s office. The blood is then spun in a centrifuge to isolate the PRP and remove whatever remains of the blood. Once the PRP has been isolated, utilizing a topical anesthesia we start to inject the PRP into your scalp. We prescribe this method once a year or semi-annually relying upon your requirements and hair development. * Since this methodology has numerous advantages of hair follicle improvement, this technique can be used preoperatively, intraoperative, or postoperatively. Platelet-rich plasma therapy is becoming a positive non-surgical procedure that aids in the growth of hair that was lost. It has been seen that PRP has increased the amount of hair growth for individuals in the latest study with patients experiencing hair loss or who used it to help aid in hair survivability after transplants. PRP is great for a lot of people that have hair loss, but we invite you to meet with our hair loss specialist to determine if PRP is the right solution for you. PRP uses your own cells and it will not be rejected from your system, which ensures that this procedure chances of success is greatly increased for individuals that are good candidates. Embassy Studio has many different options when it comes to hair replacement and hair restoration. We offer all these options, so you can feel confident knowing that we will have the right solution for you. We invite you to a free visit to explore all of our surgical and non-surgical options. We will also perform a free scalp and hair analysis as well. Schedule your free visit today!